Dr. Nick Molinaro is a licensed psychologist with 35 years experience. He specializes in clinical counseling psychology, sport psychology, executive assessment and performance enhancement. Some of Dr. Nick's clients include players in the NFL, AFL, CFL, NBA, NASCAR, PGA, LPGAformer Olympic Gold and Silver Medal winners, a European Zonal Qualifier for the 2012 Olympics, and NCAA athletes from all divisions. Dr. Nick is the sports psychologist I have referred to in previous episodes. He helped me through one of the most difficult times of my life, immediately following my football injury. I am honored to have him on the show for this episode and I have no doubt that his insights and perspective will resonate with many listeners. The focus of our conversation in this episode is on the importance of mindset in both performance and recovery from injury, which has never been talked about on the podcast before. Specifically, we explore the difference between 'CONFIDENCE vs. EFFICACY 'and 'TRUST vs. FAITH'. Show notes can be found below. Thinking is the foundation for everything we do. This can work both for us and against us. It is important to remember that beliefs don’t always tell us the truth. How Dr. Nick uses The Attentional & Interpersonal Style Inventory measure with his clients. Find out if you are placing your attention where it needs to be. Intention drives attention, attention drives your decision making. Where is an athlete's attention at the moment of execution? Belief about an ability to perform. Feeling about an ability to perform. Beliefs and feelings don’t always tell you the truth. Two essential elements of the definition aren’t always true. Dr. Nick gives us a real-life example with two of his high jumping clients. How focusing on the specific activity at hand improves performance. Paying too much attention to how they are feeling or what they are believing. The role hypnosis plays in Dr. Nick's practice and the barriers that exist with it's effectiveness. Trust - proof associated with trust. Faith - requires no proof , there is no doubt and it is future oriented. No doubt about your ability to perform. Trust and faith are both beliefs. Faith can take over for the lack of proof. How body language translates to performance. Attitude is about being in the moment. Maintaining faith after multiple setbacks - look at it as a test of their faith. What you do in golf you don’t do in other aspect of your life. Does mindest differ by gender? The role of the larger corpus callosum in females. Why it is important to have a respect for fear on and off the field? WHERE CAN YOU FIND Dr. Nick? I can't think of a better sponsor for this week's episode while we explore the topic of female body image in sports with Dr. Megan Cannon, Sports Psychologist and Erin Sparrold, Sports Nutritionist from Mind of the Athlete. This episode is brought to you by Necessary Thickness. Necessary Thickness is an idea, an approach, a movement, where the brand’s founder preaches healthy bodies & strong minds, recognizing that these elements individually vary. "Thick" is a metaphor that encompasses a better and stronger you at work, at play and at life. It's about embracing your flaws, loving yourself, and making the choices that best yield your own happiness. NT is choosing the things in life that move you closer towards achieving your own visions and goals - that make you the best version of you. 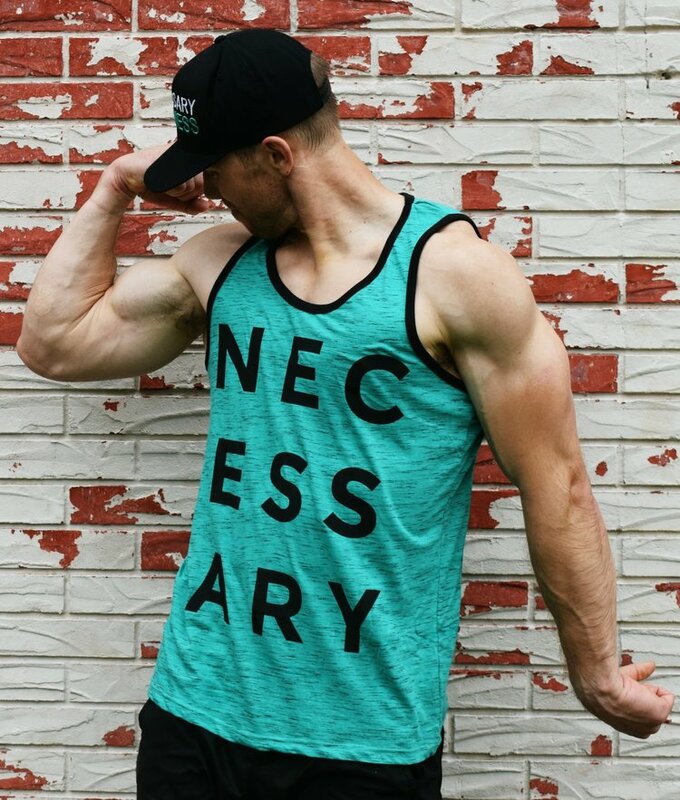 To find out how you can express your thickness, go to necessarythickness.com. You might recognize Dr. Megan Cannon (above) from episode 49 where the topic of our conversation was managing post-concussion symptoms. Dr. Cannon has extensive training within the field of psychology. She received her Doctoral Degree in Clinical Psychology from Nova Southeastern University in 2013, after earning a Bachelors Degree in psychology from Wilkes University. Dr. Cannon works with teams and athletes at all different levels in their careers across the country. She has worked with individual athletes and teams at schools such as Old Dominion University, Bucknell University, University of Pittsburgh, Lafayette College, Lehigh University, Duquense University, and many more. Erin Sparrold, CN, MET (above) is a Sports Nutritionist with the Mind of the Athlete group and has over 20 years of nutrition coaching experience. Erin holds a degree in nutrition science from the University of Arizona and a sports specific certification in metabolic efficiency training. A major focus of her studies is on nutritional interventions for treatment of anxiety and depression which can be problematic for both healthy and injured athletes. You might remember Erin from episode 55, where we talked about nutrition both for athletes looking to improve their performance on the field and for those who are out of the game either temporarily or long-term. When an athlete is out of the game due to an injury, illness, retirement or other obstacle, a focus on nutrition can help distract from negative thoughts and puts you in control of getting healthy. The next two episodes are going to focus on body image struggles for female athletes. Megan and Erin frequently work together on this topic in both the clinical and educational settings. Next week we hear from former pro tennis player Neha Uberoi where we talk about her personal struggles with body image throughout her career. You can find notes on this weeks episode below. The conflict: There is a huge emphasis on being "thin" in our society, but for some sports, women are required to become "bigger" and more muscular. How social norms influence body image perception. The challenge of athletes constantly seeking measurable results. Not knowing whether it’s muscle or fat. Muscle GAINZ leading to tighter fitting clothes. The danger in developing fearful relationships with food. Body image perception by sport. Whether it’s basketball, crew, wrestling, softball or gymnastics you see a lot of pressure to be a certain body set. Some of these sports also depend on the position played. Comparing yourself to teammates, coaches, Instagram models. Very contradicting source of information for dieting for athletes. Perceptual body image vs. how others view your body image. The Red Flags of eating disorders. Coaches influence on eating disorders. Words can be a form of gospel to these athletes. Can't discourage an athlete to participate in that sport. Why there needs to be a shift in mentality from skinny to powerful. Is it okay to wear makeup while playing a sport? USA Olympic Gymnasts Simone Biles and Aly Raisman have gone through being scrutinized for being too “muscular,” but their response is that this is how they won Olympic Medals . WHERE CAN YOU FOLLOW DR. CANNON? Episode 81 brings us back to Bethlehem PA, to talk with Dr. Jarrod Spencer, Sports Psychologist at Mind of the Athlete. Last time Jarrod was on the show in episode 50 we talked about the athlete transition to life after sports. However, this time we spoke about a topic that I am very curious and passionate about, which is how our society's definition of toughness and masculinity affects athletes. This was our summer intern Alex's first field trip for the podcast, hence the nice action shots we have from the day (below). George Bright, who has close to 30 years of experience in college athletics, also sat in on our conversation. Toughest person in the eyes of Dr. Spencer : Tim Tebow. This is because he has stood up in the face of a culture that has pushed him down, but still does it with lifted spirits and a smile on his face. How the media's portrayal of injuries has masked the reality of being a football player (not showing the icebaths, opiates/painkillers, the difficulty to treat pain). It should be no surprise that this led to a discussion on cannabis. Dr. Spencer believes the science is proving the benefits of cannabinoids. That doesn't mean there isn't a downside. THC w/ athletes: can become a problem for athletes that depend on it to relieve stress/anxiety. The importance of rethinking the culture of Cannabinoids with a more scientific approach. What the athletes need to know: It’s ok to cry and express yourself. The importance that coaches understand the weight their words carry with young athletes. How mental health is going to be the next big problem. NCAA could be a stepping stone for this. Dr. Spencer's Earliest memory of toughness: Jr. High School Wrestler (Phillipsburg, NJ). Finished 2nd, and it felt like there was a death in the family. A moment Dr. Spencer felt emasculated: After suffering a concussion playing football in college because he was failing at the simplest tasks, which made him feel weak. The moment when Dr. Spencer felt like he exuded toughness and masculinity the most: when his daughter became extremely ill about 10 years ago. Proved that even sometimes when you are at your lowest, you will experience moments of toughness. Where does the bar lie when it comes to toughness? Relative to each person and family. How do we redefine where that bar lies? When we put the science behind injuries that would normalize it and maybe make it more relatable to the public. After the interview, Dr. Spencer taught me about the power of positive thinking. He did so by having me raise my arm out in front of me, think about a negative or positive thought while he tried to press my arm down. It was amazing to see how much stronger I was when I was thinking positive thoughts. George Bright noticed that subconsciously my stance also completely changed when I was thinking negative thoughts, which ended up putting me in a weaker position. Ryan Finlay (Game MVP) of West Morris rolling out in the 24th Annual Paul Robeson Classic All-Star Game. Early in the game there was a phenomenal pick-six interception for the West team. With any dramatic change of field like this, there are usually many opportunities for a big crack-back (blindside) block. One of this players teammates laid a huge hit on the last remaining East defender which sprung him to a touchdown. The crowd erupted, the sidelines went nuts, and even I found myself saying "Ohhhhhhh!" At that moment I realized that as a culture, we are all conditioned to react that way when we see a big hit and that even I am a part of the problem I am seeking to fix. There was no replay at the game, but I do believe this player led with his head on this hit to an opponent that had no idea he was coming. In my mind, a safer and equally as effective shoulder block could have been used. Would the crowd still have erupted? Yes, but to the same degree? Probably not, but what's more important? Your brain? Or how "cool/tough/masculine" you look on the field? I think my dude Kyle Turley referred to these types of hits as the extracurriculars that he could have done without. The second incident happened as the East quarterback was rolled out to pass on forth down (I believe) , saw no one open, tucked the ball and started running up the West sideline. The East player still had about 4 yards to get the first down as a defender came in to make a tackle. The quarterback had two options. He could either run out of bounds, turnover the ball on downs, and not get hit. Or, he could attempt to run though the defender in hopes of breaking a tackle, but in all likely hood still not get the first down and potentially get hurt. This player chose to go out of bounds. All the West players started chirping at this QB and even parents in the stands were yelling "He doesn't want to get hit!" In my 27 year old eyes, this QB was smart, not a sissy. Guys who want to extend their careers as long as possible should take notes from him. To me, there is a time and a place for lowering the shoulder and trying to gain some extra yards. Those are near the goal line, and a yard from the first down in a playoff or championship game. If you try to run people over in pre-season scrimmages, I promise you, you wont make it to the playoffs, but hey at least you looked "tough" for about 3 seconds. The last play was a hit that never happened. A ball was thrown to a receiver in the flat. One of the defenders recognized the play early on and made a be-line to make a big hit. The defender left his feet and launched himself into the air like a missile to make the tackle. Luckily, the receiver saw the flying defender at the last second and side-stepped him, gaining an additional 5 yards on the play. I was sitting next to Ryan's brother Kevin and he said that kid almost got crushed. I replied to him saying yeah, but had he broken down and made a form tackle like we are taught, he wouldn't have missed the tackle. Moral of the story is, are highlight hits worth costing your team yards? I guarantee if that was a regular season game, the defender would be getting chewed out during the film session for missing that tackle. I am not here to ruin America's precious game of football. I love football and being at the game gave me that itch to throw the pads back on. Kenny Chesney's Boys of Fall song says it all. I brought those points up because in my eyes, those are simple ways to make the game safer without changing any rules. I hope this this episode helps to reframe what toughness is to you and I believe that together, we can redefine it. WHERE CAN YOU FOLLOW DR. SPENCER?